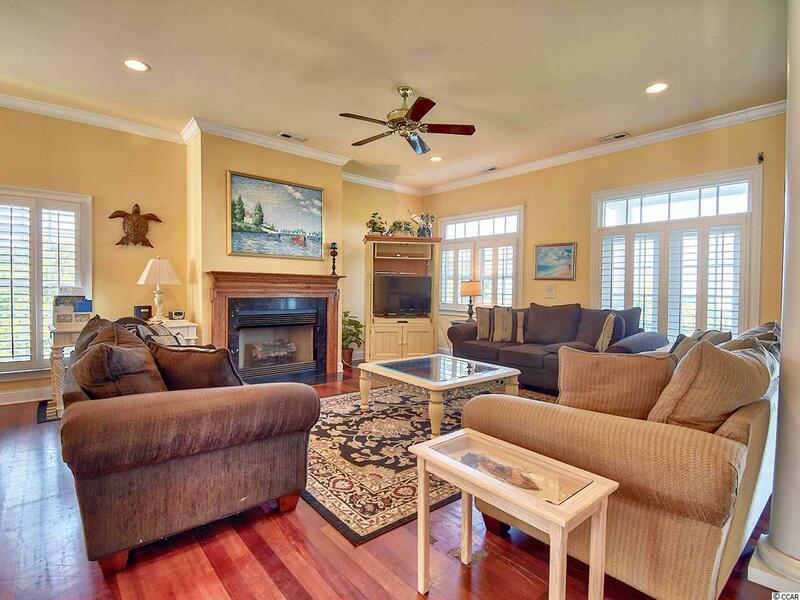 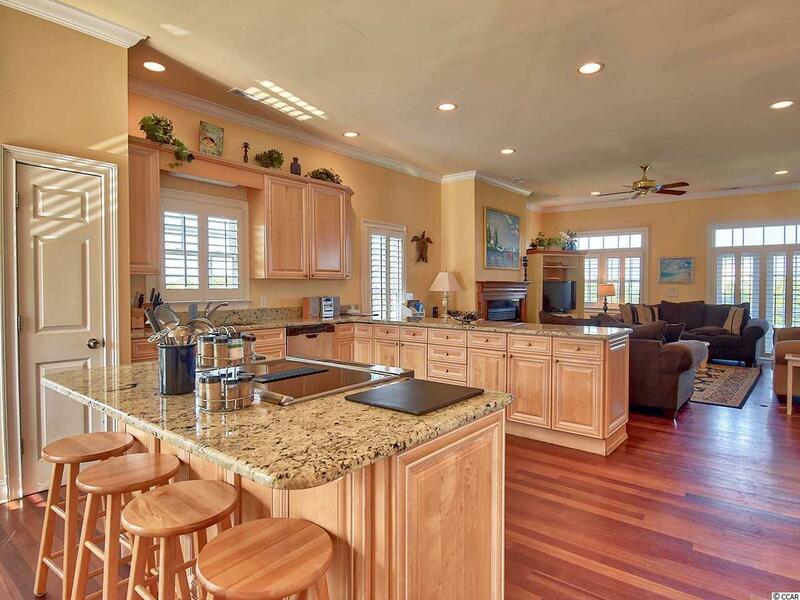 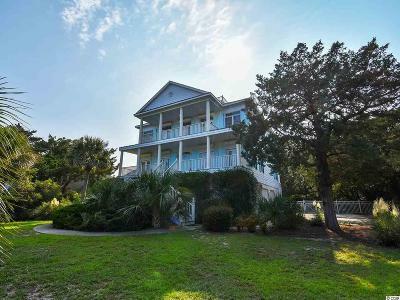 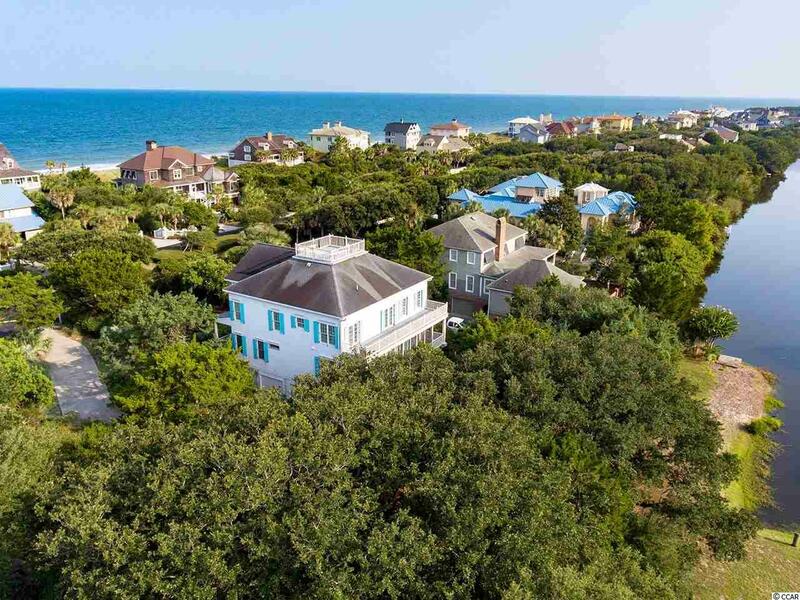 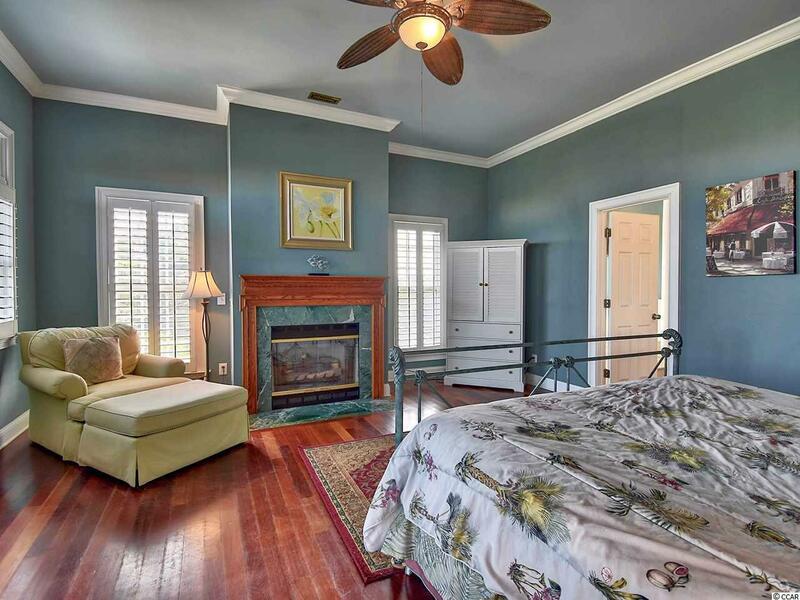 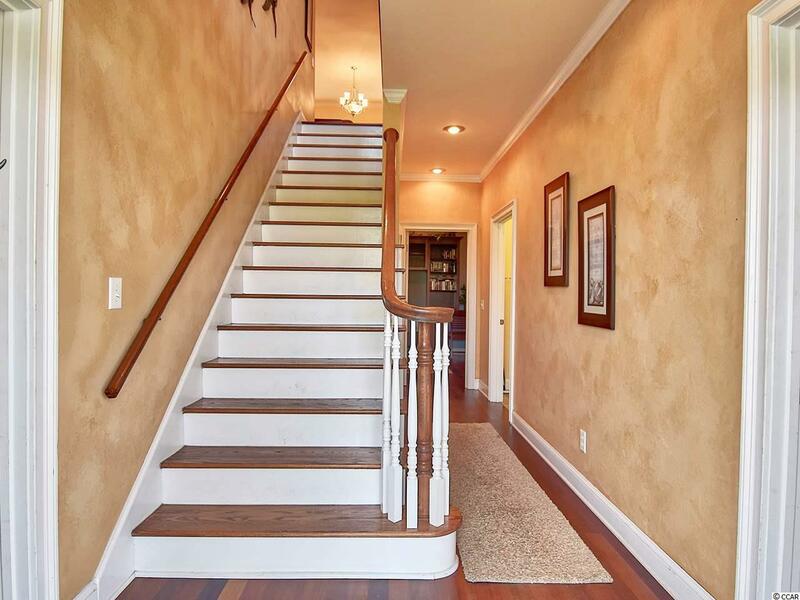 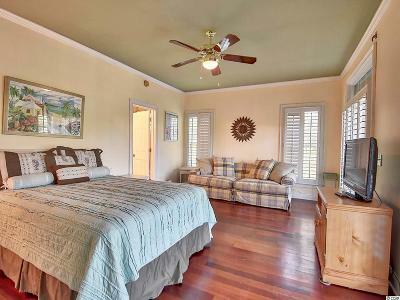 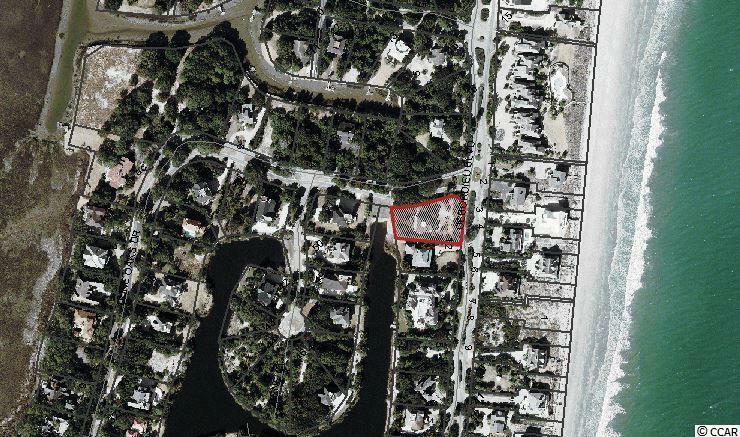 DeBordieu - Awesome 5 BR vacation home or primary residence right across the street from DeBordieu Beach. 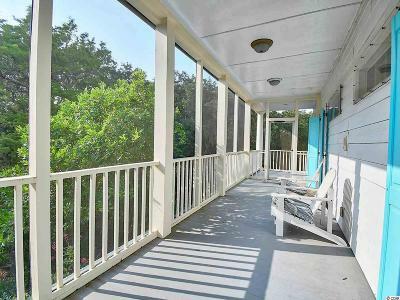 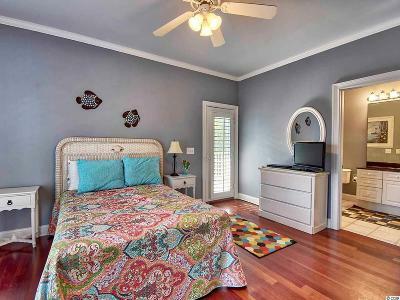 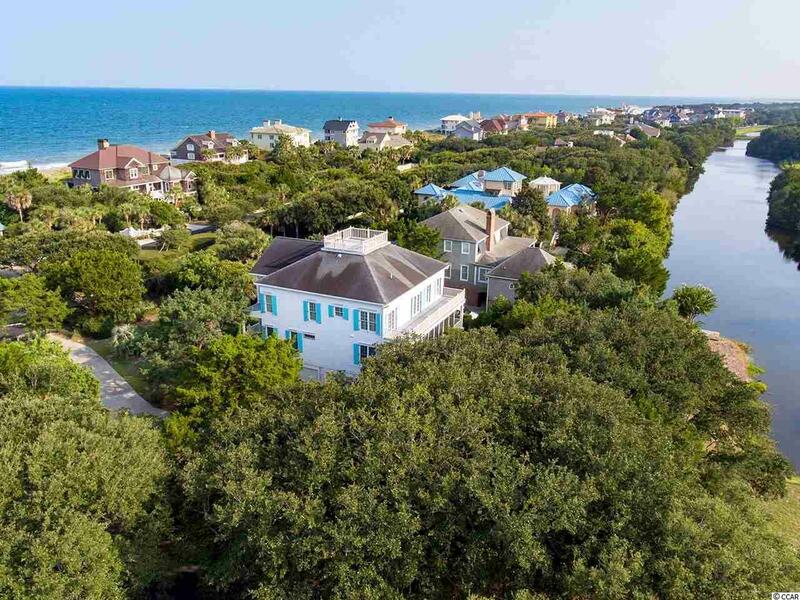 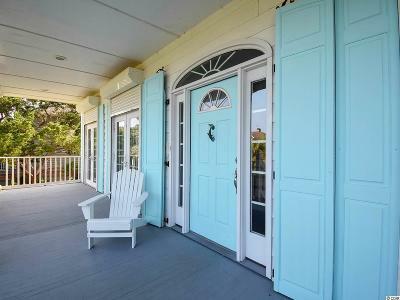 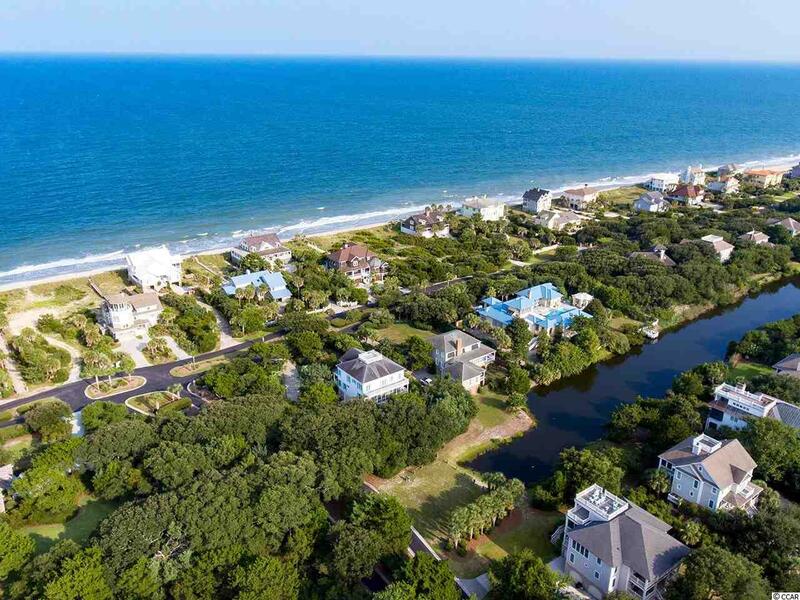 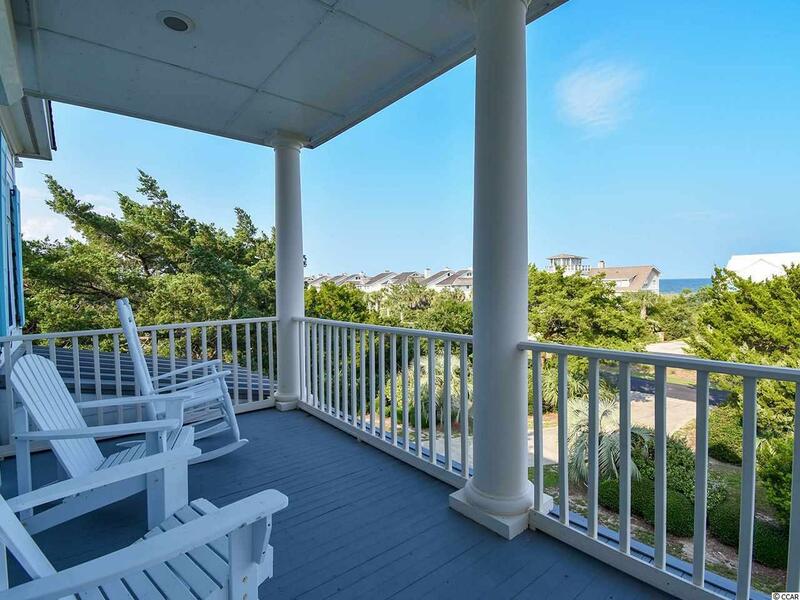 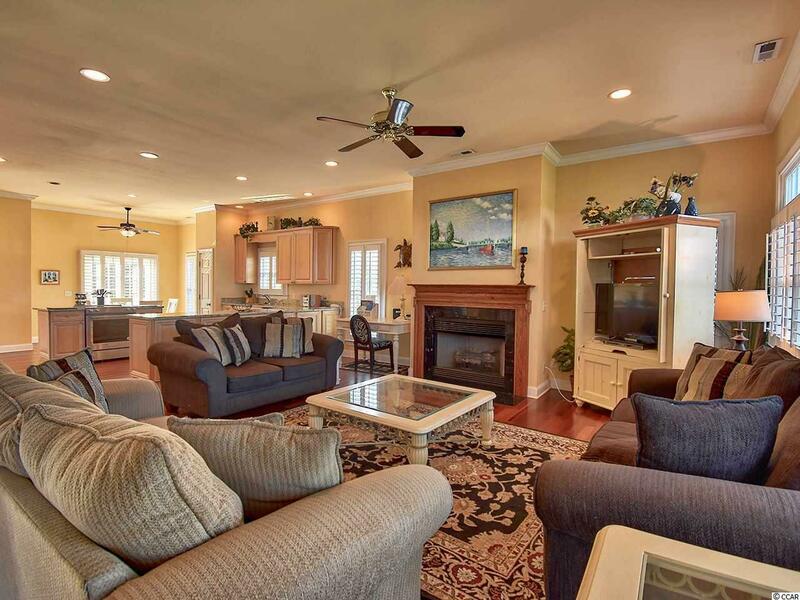 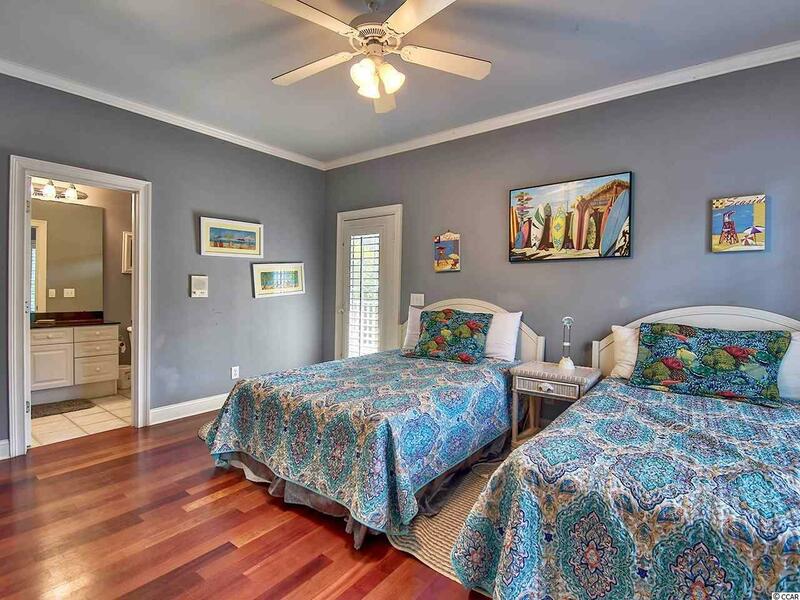 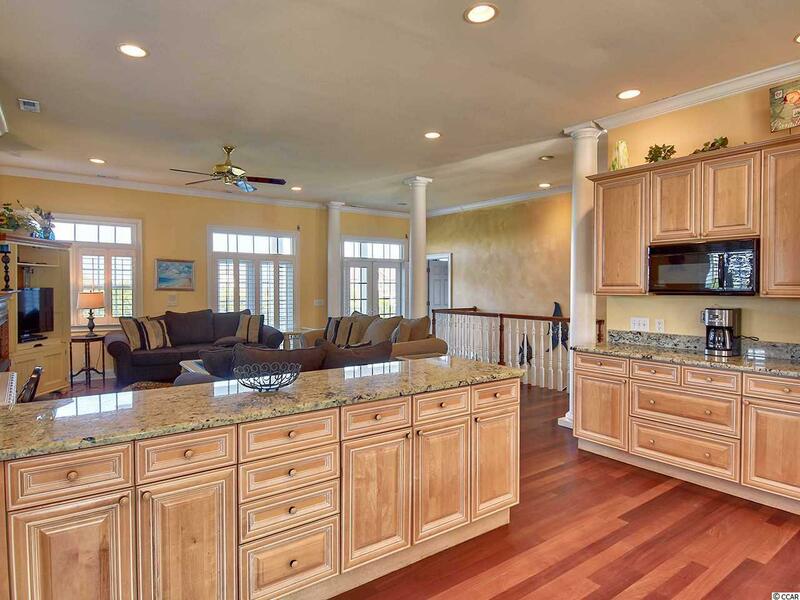 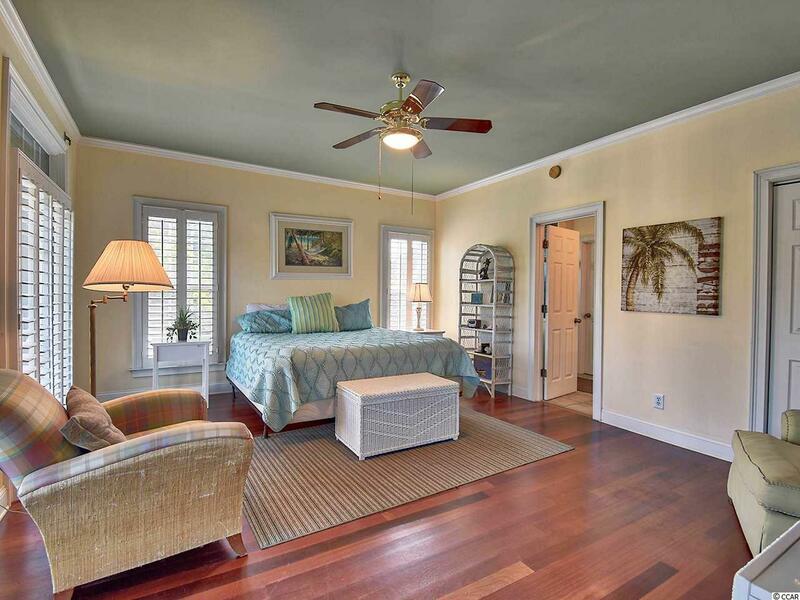 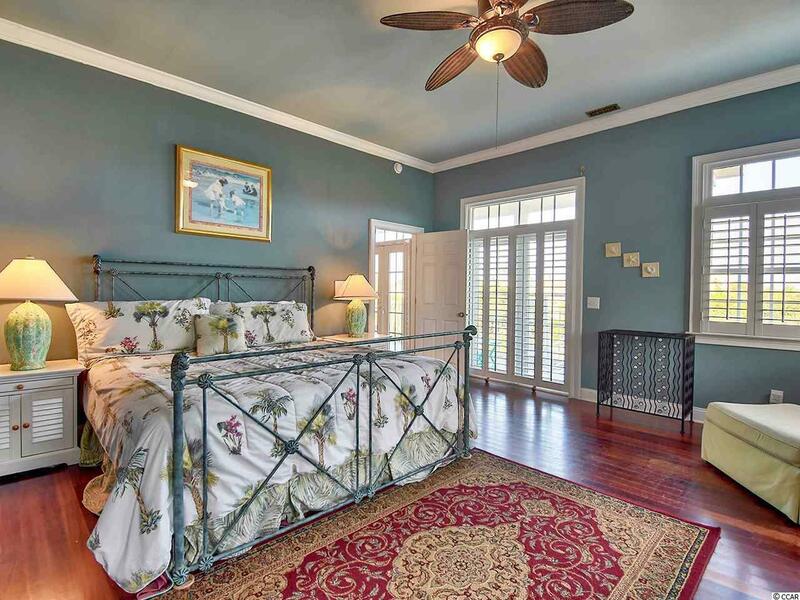 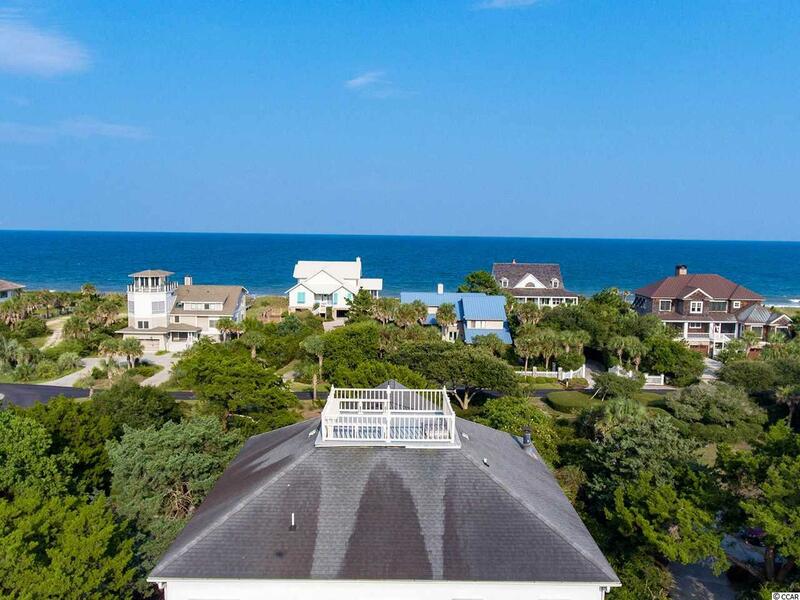 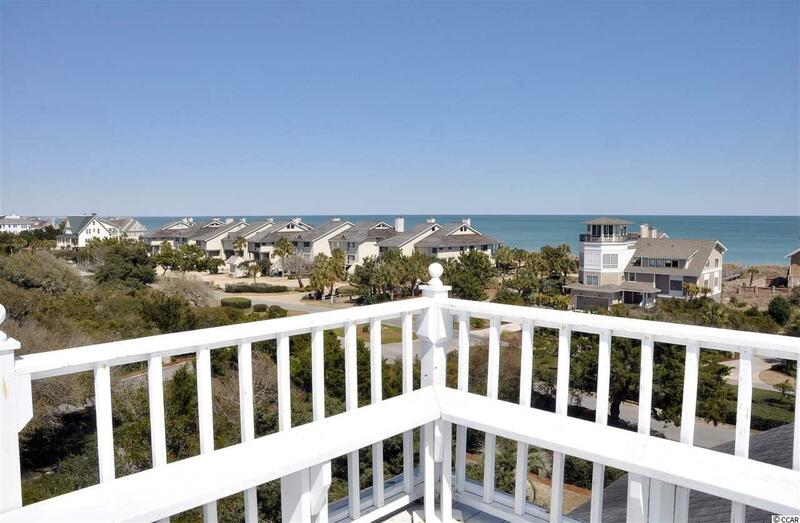 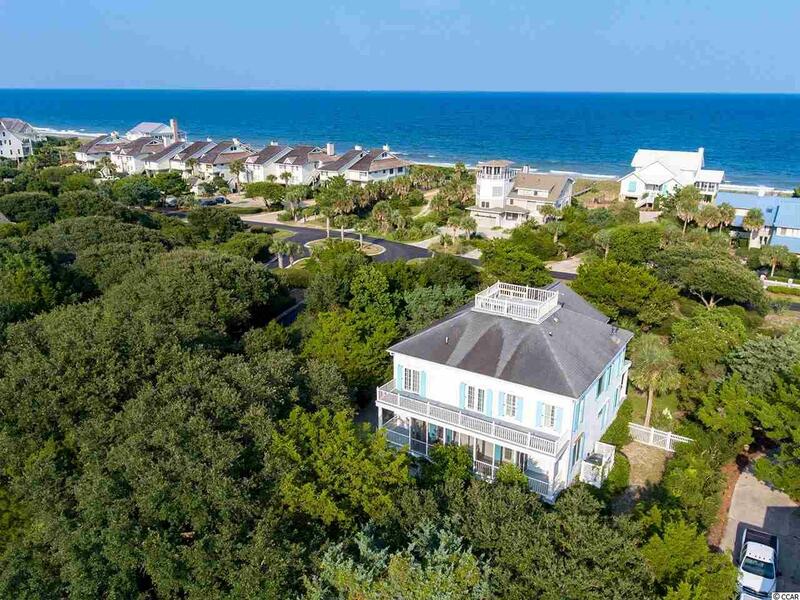 The main floor features an open floor plan, master suite, and access to a roof top deck where you can watch the sun come up over the Atlantic, and set over the creeks and marshes of North Inlet. 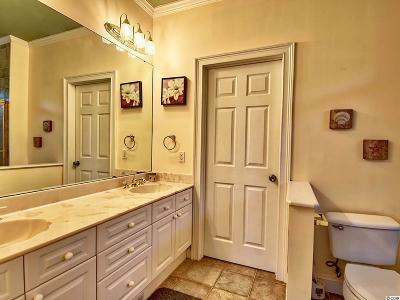 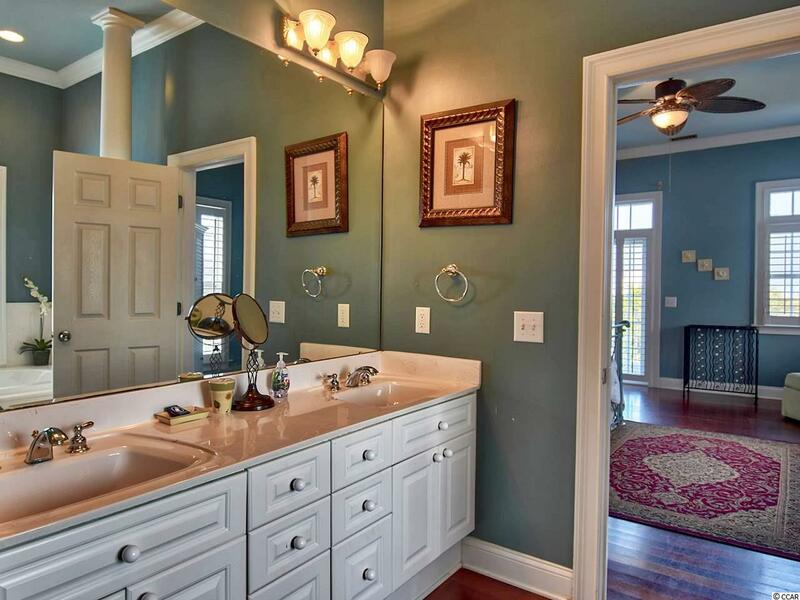 The first floor features 4 guest rooms, each with private en suite baths. 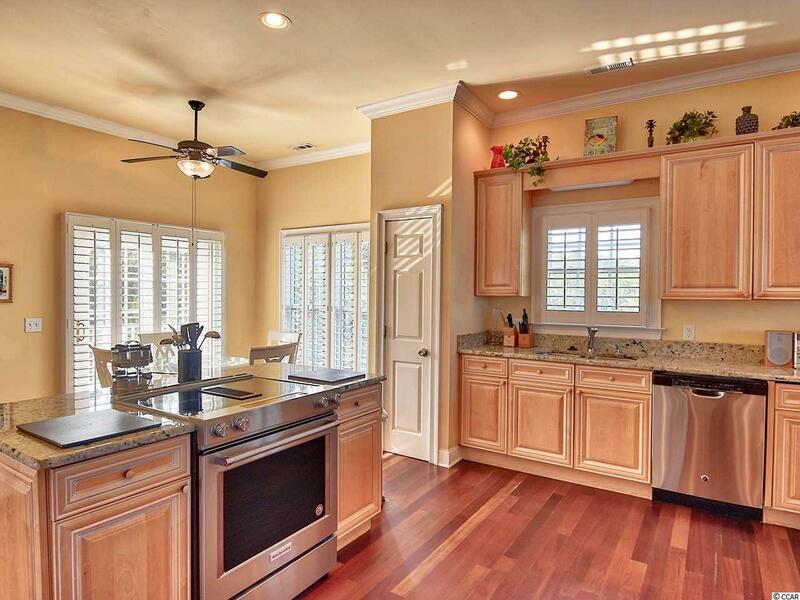 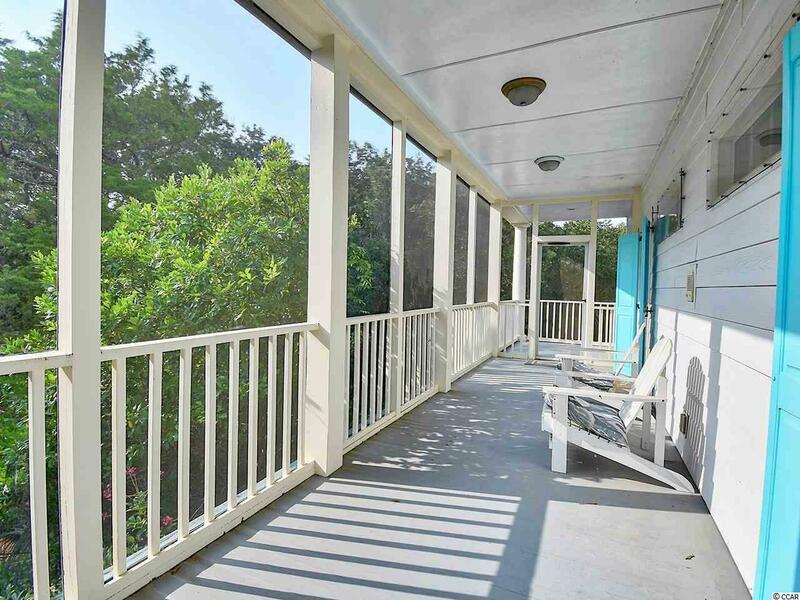 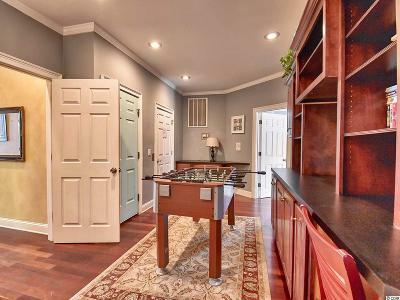 Surrounded by beautiful Live Oak and Cedar trees, and offered fully furnished, the features of this inverted floor plan include: Elevator, Wood floors, Screened porch, Office with built-in desks and bookshelves, generous closets, fireplace, pool table, and foosball table. 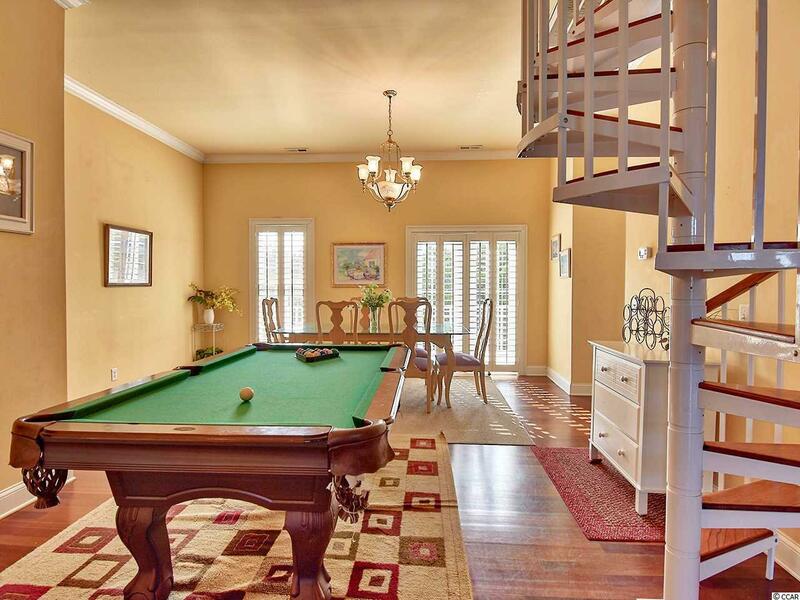 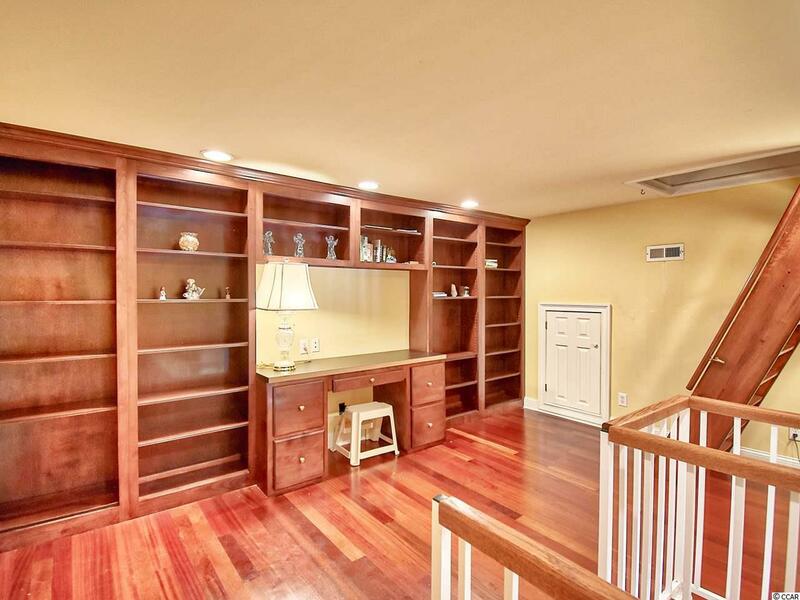 Popular on the DeBordieu Rental Program, there is room enough in the fenced back yard to add a pool if desired. 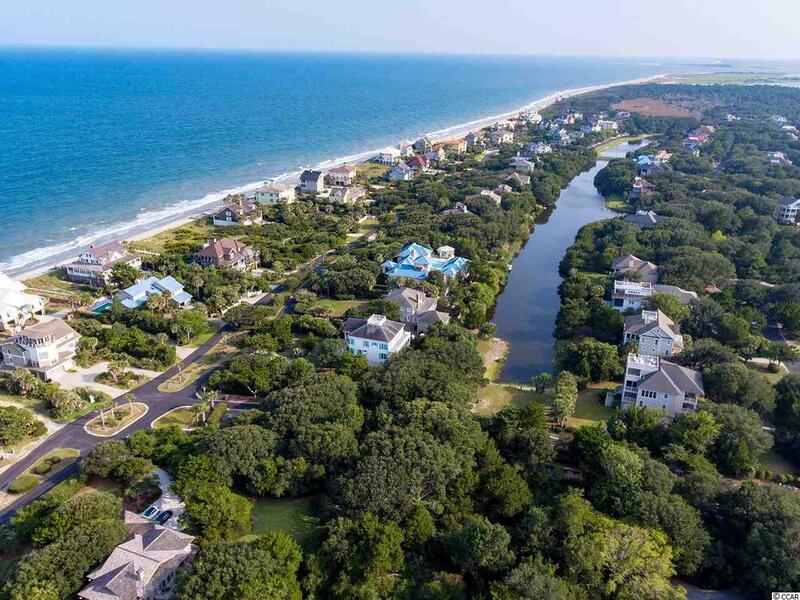 DeBordieu Colony is an oceanfront community located about an hour north of Charleston, South Carolina, just south of Pawleys Island, featuring private golf and tennis, saltwater creek access to the ocean, a manned security gate, and luxury homes and villas surrounded by thousands of acres of wildlife and nature preserves. 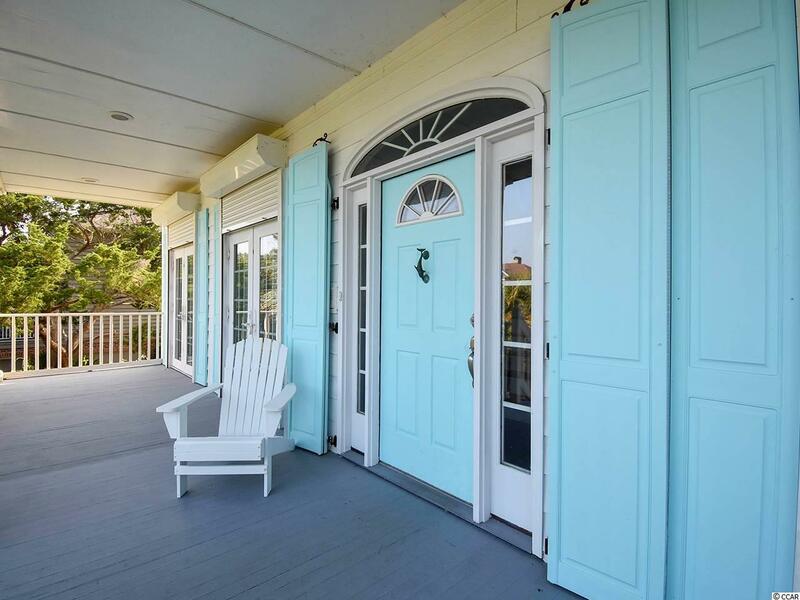 People who have been here say there is no place like DeBordieu. Come see for yourself! 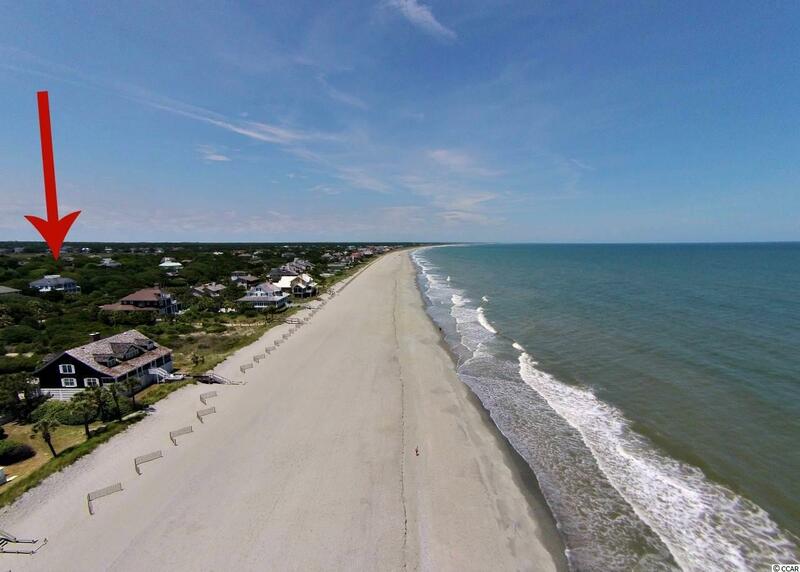 Directions: Debordieu Is About 5 Miles South Of Pawleys Island On The Left Of Hwy. 17. 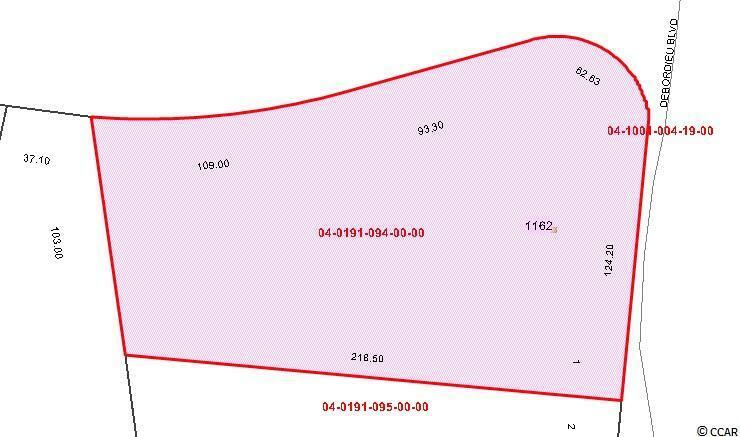 The Real Estate Office Is The First Building You Come To On The Left, Before The Security Gate.